This belted tunic dress is a favorite of ours, and will be yours too. Simple yet large patches and the saying “Play Nice, Be Free” spice it up Double D Ranch style. 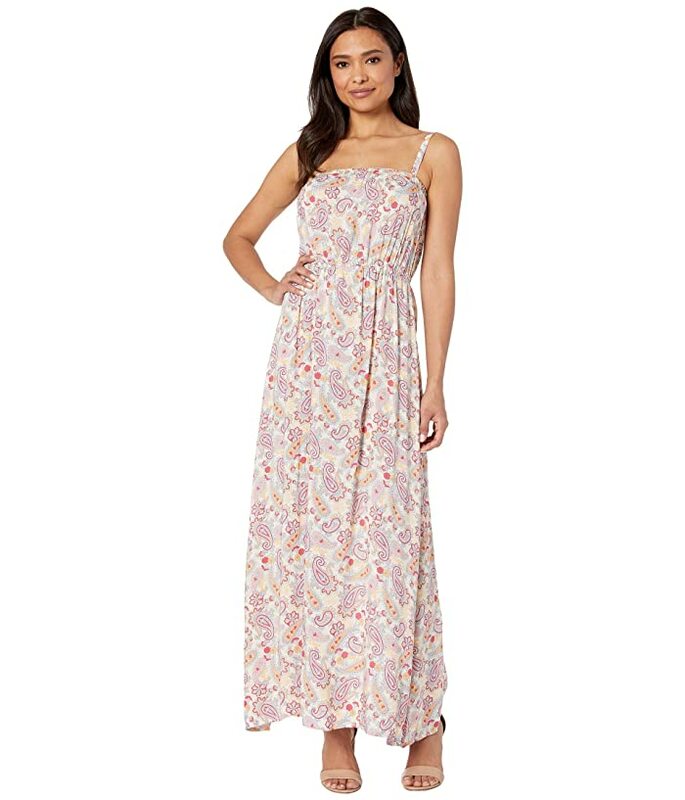 Don’t get left in the dust with the Roper® 6800 Sunflower Paisley Maxi Dress. Fun allover paisley print adds a fashionable flair to your look. Straight neckline at the front and back with wide straps for support. Draped, pleated hemline falls at a maxi length. 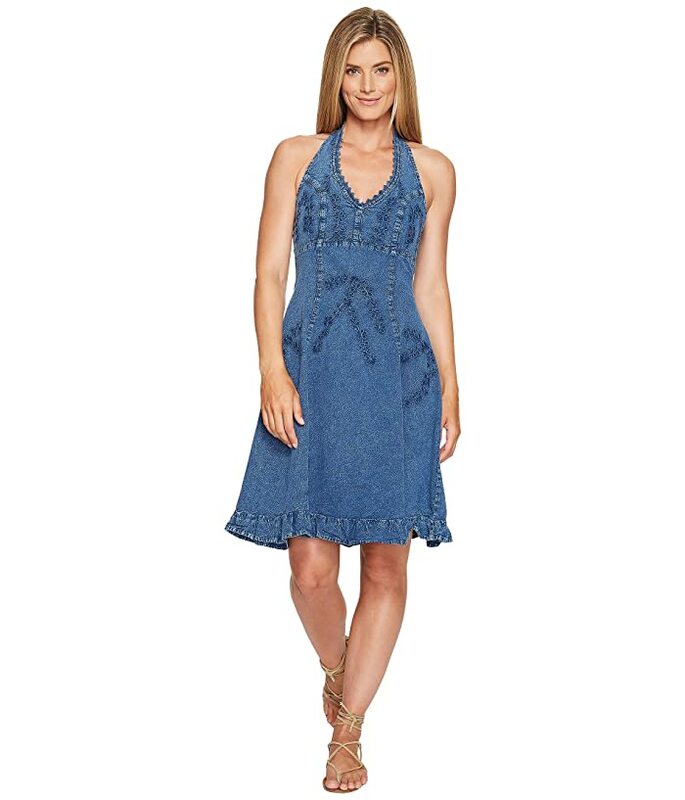 From country living to city life, look your best with the flattering Scully® Yadira Bandana Sleeveless Summer Dress! 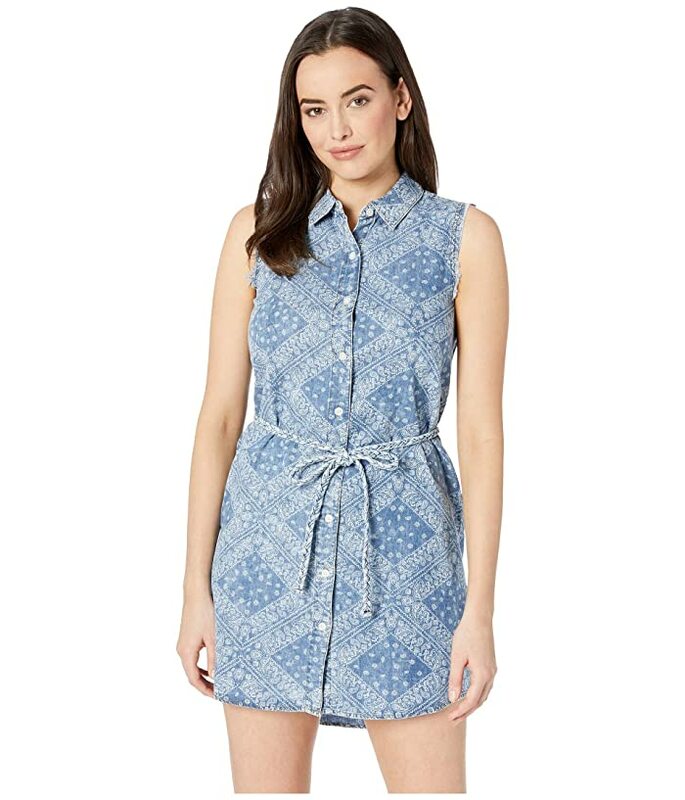 Shirt dress in a washed cotton flaunts paisley handkerchief print on a lightly fitted silhouette. Sleeveless design with raw hem detailing. Standard fit dress contours the body with pleated design for a flattering silhouette. Western shirtdress in a washed and faded denim fabrication. Scoop collar with delicate embroidered detailing at the front. Single-button closure at the back. Straight yokes with subtle pleating. Rounded mini-length hemline with side seams.